WASHINGTON – Members of the Apache Stronghold will march from Lafayette Square at 9:00 AM on Tuesday morning to the West Lawn of the US Capitol to mark the end of a spiritual journey across the country to protest a bill snuck in as a rider in the National Defense Authorization Act by Senator John McCain, and Arizona's junior Senator Jeff Flake, which was approved by Congress in the closing hours of it's last session. That rider traded away Apache sacred land to allow a massive copper mine. The caravan left Arizona in early July, traveling some 2,000 miles as part of a growing movement to save Oak Flat, where native people have held religious and coming-of-age ceremonies for generations. The copper mine would leave a huge crater—1.8 mile wide and wipe out streams, springs and wildlife habitat. The caravan was in New York City’s Times Square on Friday and arrived in Washington this Monday evening. Who: Members of the Apache Stronghold caravan, many of them runners, arrive at the U.S. Capitol to conclude their spiritual journey. Where: The group will run and walk from Rock Creek Park to Lafayette Square and then march to the West Lawn of the U.S. Capitol. When: 8 a.m. at Rock Creek, 9:00 a.m. at Lafayette Square, and final destination: the West Lawn of the Capitol. Media availability: Members of the Apache Stronghold are available for interviews. More information: Tuesday's event marks the final destination of the convoy’s journey from Mt. Graham to Oak Flat in the Tonto National Forest in Arizona to Washington, D.C. Apache Stronghold stopped at Native American reservations along the journey gathering prayers and strength, arrows and eagle feathers, building awareness of the Oak Flat issue as well as recognizing that many Tribes have the same or similar issues with the protection of their sacred sites. 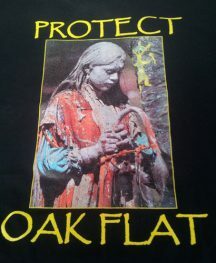 More than 480 Tribes and many environmental organizations, outdoor recreation enthusiasts, animal rights groups and religious congregations support saving Oak Flat. 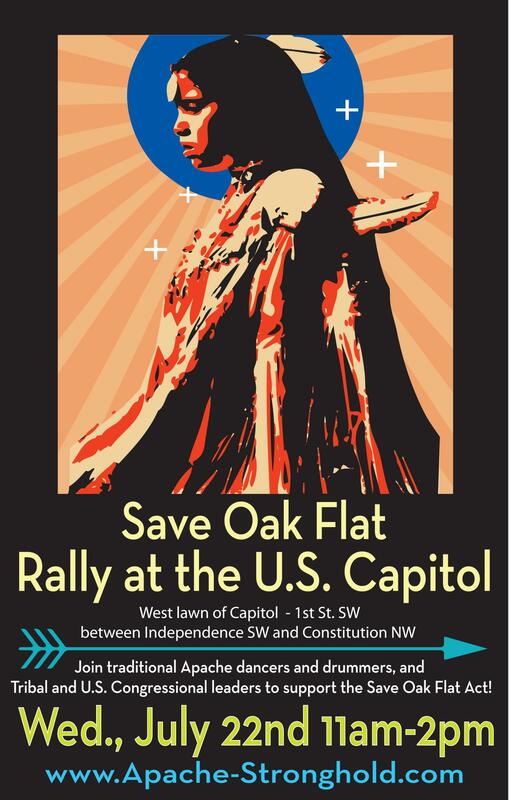 Following a march from Lafayette Square to the West Lawn of the Capitol, Apache Stronghold and tribal delegates be concluding their spiritual journey across the U.S.
On Wednesday, there will be a rally on the West Lawn (11:00 am- 2:00pm) to Save Oak Flat and support a bill introduced by Congressman Raul Grijalva to repeal the bill passed in December.